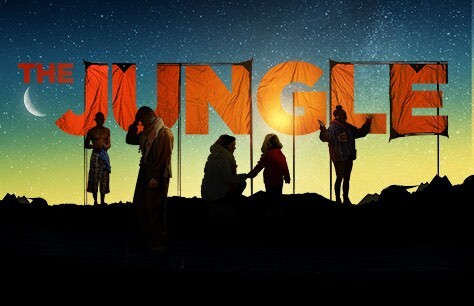 The Jungle tickets are now available! Following a sold-out run at Young Vic, The Jungle is transferring to the West End’s Playhouse Theatre. The Jungle met with resounding critical acclaim during its sold-out run at Young Vic. Joe Murphy and Joe Robertson bring audiences to the heart of the Calais refugee camp that housed thousands hoping for a chance at a better life. Just across the channel, but worlds away. The Jungle looks at the camp itself and the lives of the incredibly resilient and hopeful people who find themselves day after day in the makeshift camp, eyes trained on the horizon, where on clear days the shores of Britain are visible. The Jungle’s residents interact with the volunteers, most having come from England after seeing the atrocities of the camp on the news. The Playhouse Theatre will be transformed to capture the intimate staging of the original production. Sit in the Afghan Cafe amidst the rush of the camp or sit atop the Cliffs of Dover. Find the best seats for you with our interactive seating plan. This National Theatre and Young Vic co-production with Good Chance Theatre is directed by Stephen Paldry and Justin Martin. The show is scheduled to run at the Playhouse Theatre 16 June to 3 November. Do not miss your chance to see this incredibly moving piece of theatre. Book your tickets now to ensure the best seats at the best prices and to avoid disappointment. This production contains the following: Smoke effects; Strobe/ flashing lights; Cigarette smoking; Strong language; Loud noises and gunshot sounds; Prolonged periods of darkness; Images which some may find disturbing. Audio Described performance 7 August 7.30pm. Captioned performance 14 August 7.30pm. One of the best plays I've ever seen! Funny, tragic and sadly true. I hope it gets a second run. Theresa May, if it does, go see it!